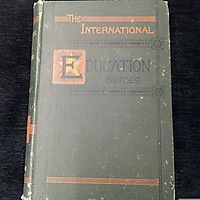 This volume, originally published in 1889 with this edition published in 1912, contains Carpenter's famous essays on civilisation and his theory that it is a disease of mankind that must be cured. Papers included in this collection discuss the rampant ill-health suffered by society as well as criticisms of modern science to support this theory whilst also analysing what the future holds for science, ideas of morality and traditions and customs. This title will be of interest to students of sociology.